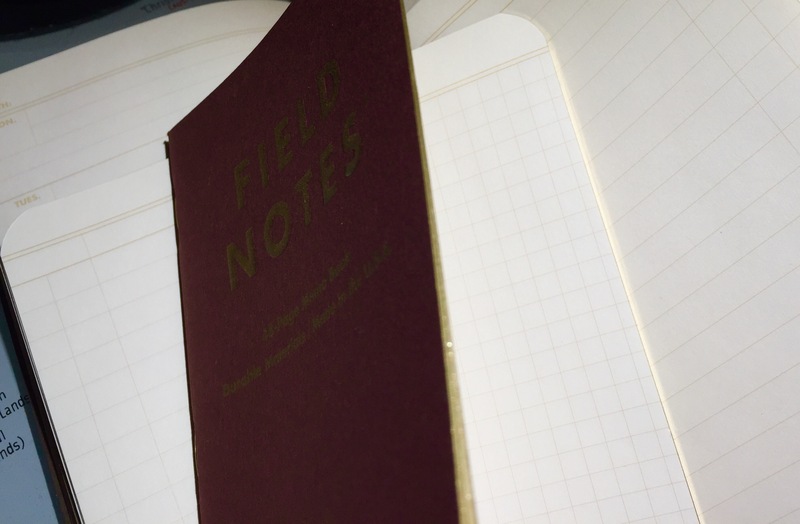 Though special edition Field Notes seem to pop up quite frequently these days, I recently decided to go back in time to the Winter of 2014 when Field Notes released one of their more interesting notebook sets, the Ambition edition. Produced as part of Field Notes’ quarterly subscription service, the Ambition edition comes as a standard 3-book pack, except that each book within the pack contains different innards, which correspond to different colored covers. The “wine” book is a graph-ruled memo book , the “olive” book serves as a ledger, and the “chocolate” book is a 52-week planner. Right out of the package, the books look beautiful. With their gold, embossed logos and gilded pages, Ambition is probably the “fanciest” notebook set that Field Notes has ever made. In fact, it took me longer than usual to throw one of these notebooks in my back pocket, knowing that it would eventually get beaten up. I picked up the graph-ruled notebook first, because that’s the style I prefer. But it also wasn’t immediately clear how I’d use the other two books in this set. While the idea of a pocket datebook is interesting, I simply don’t use a datebook in this manner. Similarly, there’s no tallies or logs I need to keep track of that would necessitate a ledger-style notebook. 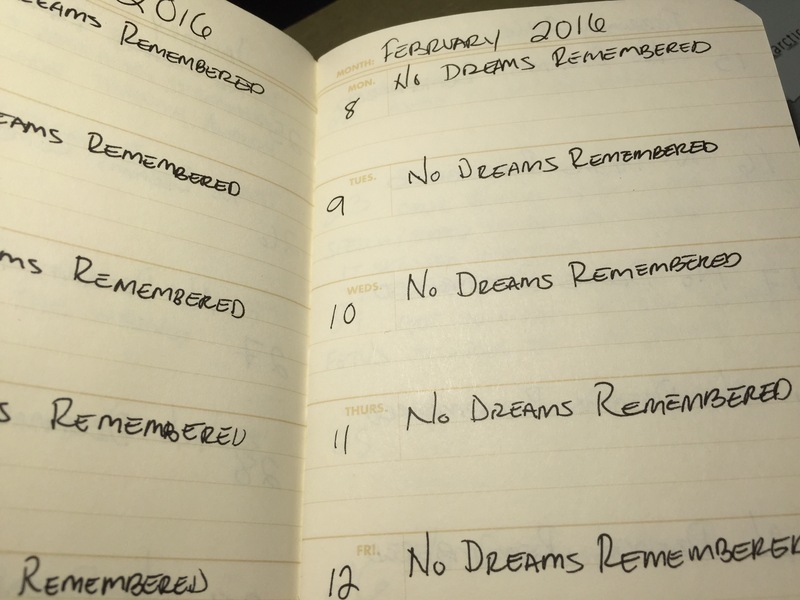 Eventually, I decided to use the datebook as a dream journal (though, it hasn’t really helped me remember any of those dreams), and I found that the ledger-style ruling was great for making lists. 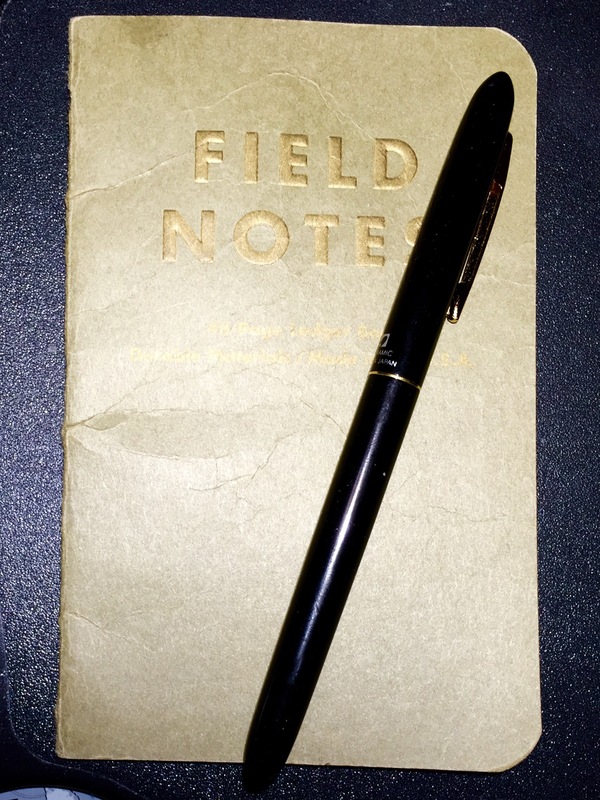 And after permanently losing the graph notebook at the Charlotte International Airport, the ledger book became my standard catch-all notebook, which ended up working great for that purpose. Ambition was definitely one of the most interesting Field Notes editions that I’ve used, but since it’s an older edition, it is sold out in retail locations. However, I’ve seen prices fluctuate anywhere from $25 to $45 per pack on the secondary market, which is a bit too pricey, in my opinion. Although, it may be worth the money if you find yourself loving those pocket-sized planners and ledger books. The original subscriber package came with a cloth bookmark, which you can see at the Three Staples review (along with a ton of other info). A review at The Well-Appointed Desk reveals I’m not the only one who likes the ledger notebook. I was weary of the ledger at first, but it really grew on me. The embossing on those look to be raised on the covers, for some reason I thought the print would have pushed them in instead. Yeah, the gold pops out of the notebook. It looks pretty neat.